The Maldives, a country of small islands in the Indian Ocean, withdrew from the Commonwealth of Nations last October, three weeks after the organization threatened it with suspension for a third time over human rights and democracy concerns. Formerly called the "British Commonwealth", the Commonwealth of Nations is a loose association of countries that used to be part of the British Empire. One of its main roles is promoting democracy, human rights, and economic development, and the organization's monitors have accused the Maldivian government of various anti-democratic activities since the country's first elected president was deposed in 2012. A high-profile international news documentary had also accused the government of extensive corruption the month before the country withdrew. For its part, the Maldivian government accused the Commonwealth of picking on a tiny country as a way to get attention and show off its dedication to democracy. In a statement responding to the Maldives' withdrawal, the Commonwealth's secretary-general expressed "sadness and disappointment", but also hope that the country would eventually choose to rejoin the organization in the future. The Maldives isn't the first country to quit the Commonwealth under human rights pressure. In fact, it's the third in fifteen years, after the Gambia left for similar reasons in 2013, and Zimbabwe did the same ten years earlier. 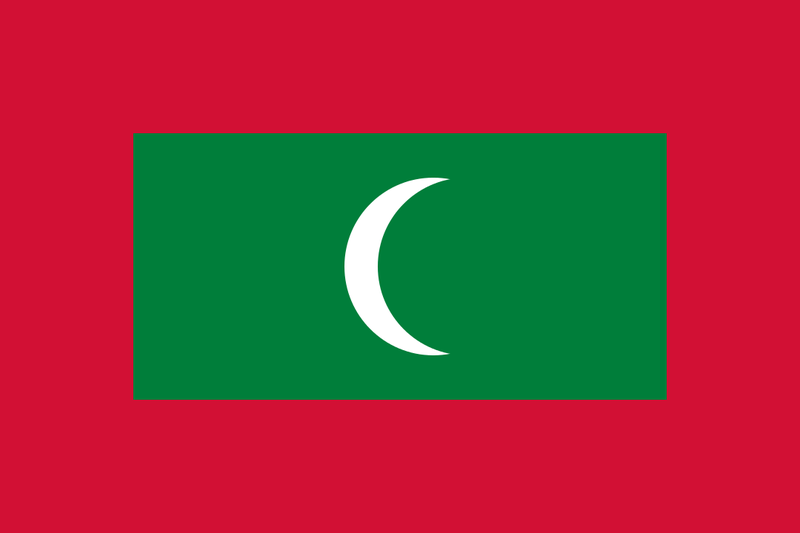 Graphic of the Maldivian flag is in the public domain (source).